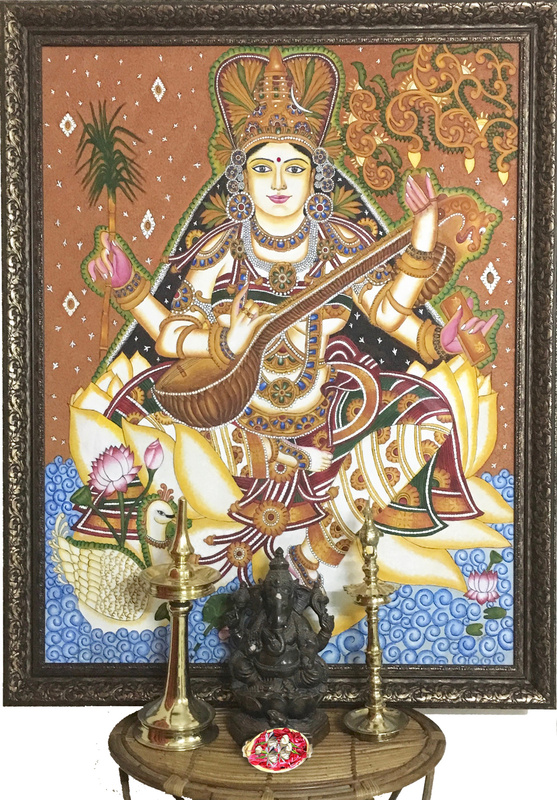 After Visiting Kanchipuram Temple during January this year, I was completely hypnotized seeing Goddess Kamakshi dressed up as Goddess Saraswathi with a Veena on her hands. It was as though SHE was sitting there live playing the Divine Instrument with a very beautiful smile on her face.. This entry was posted in Discussions and tagged A Divine Experience, Goddess Kamakshi, Kamakshi, Kanchipuram. Bookmark the permalink. ← Happy Vishu 2018 !! I am thrilled to read about the Goddess Kamakshi.